This article is part two in a series on arthritis in pets. To catch up, please read part one. Like Liz, many owners’ dogs face the challenges of taking care of a pet with diabetes and its complications. Here is some important information to help you to deal with cataracts in dogs. High blood pressure is an important concern in humans. Stressful lifestyle, high salt (sodium) diets, and smoking all contribute to this dangerous condition in people. Our pets don’t smoke or stay awake worrying about their next mortgage payment and they do not deposit cholesterol in their blood vessels. However, our pets do get high blood pressure. Monitoring diabetes is critical to determining your pet's proper insulin dose as discussed in Pet Diabetes Monitoring - Part 1. To a large extent, monitoring can be done at home and it is possible to save a great deal of money by doing so. However, some tests simply must be done at the veterinarian's office. Detailed discussion on the topic of monitoring diabetes in pets, including warning signs that a pet owner can watch for, a simple process for taking note and keeping track of your pet's physical condition, and some basic instructions on the proper way to check and manage your pet's glucose levels should they be found to be in need of diabetes monitoring. Are Your Pet’s Treats Treating Your Pet Well? Have you ever spent time at the pet store and wondered which is the best treat for your dog or cat? How do you know what you are giving to your pet is healthy? Unfortunately, you do not know if it is good until after you try the product. There are hundreds of brands, styles, sizes and types of treats to choose from. 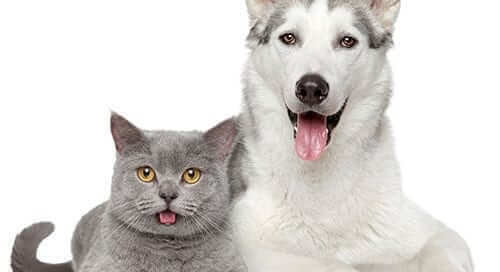 Dog and cat treats are great for training and improving the human-animal bond. Below are some helpful points to consider the next time you shop for your furry pet. I get many questions from owners of pets with diabetes. This month, I address pet insulin syringes. My cat, Tiger, has been drinking a lot of water and losing weight. My veterinarian diagnosed diabetes, but what does this mean?